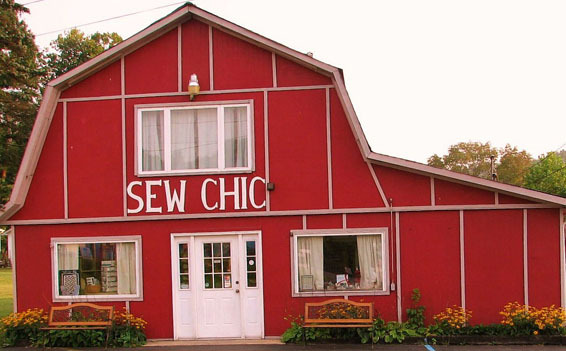 Welcome to Sew Chic! Within our 1800 square foot red barn is a sewer's dream filled wall to wall with everything you need to complete your latest project(s). 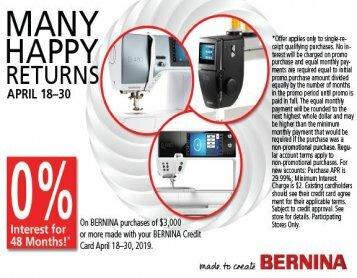 Sew Chic is a proud BERNINA Dealer offering BERNINA Sales & Service. 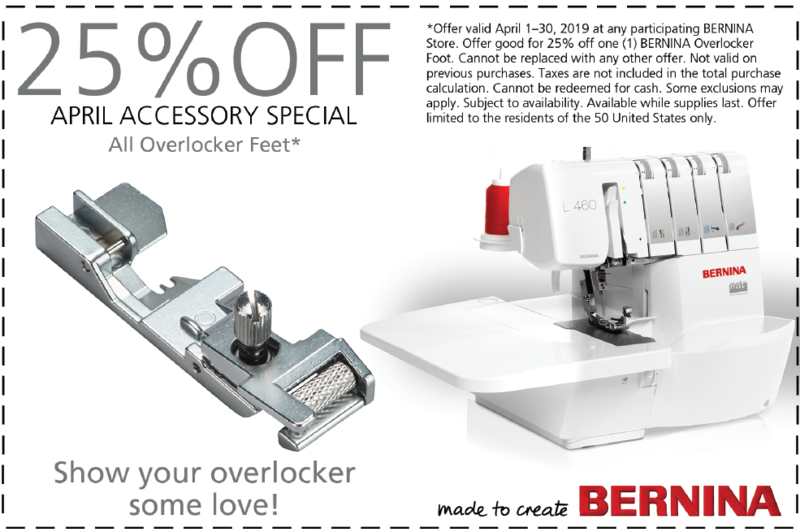 At Sew Chic, we are proud to offer the latest and finest in sewing technology complimented by a warm and knowledgeable staff offering good old fashioned customer service. 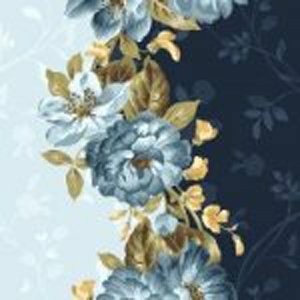 Here, we offer approximately 3,500 bolts of fabric, a huge assortment of threads (including sewing, quilting, and embroidery), many patterns, books, embroidery designs, and a variety of sewing notions. 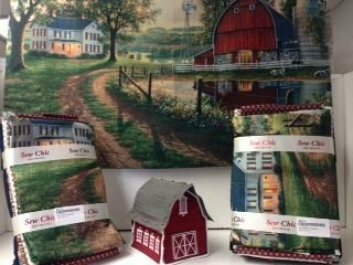 At Sew Chic, we are very attentive to all of our customers and care about each and every one of you and what you may need; if it is not here within the store, we will do our best to find it for you! We like to stick to our motto of "where friends and creativity meet" . 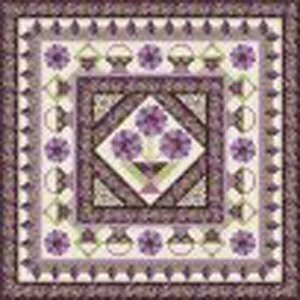 If you have any comments, questions, or concerns, please feel free to contact us here at the store or even through Facebook. Thank you for taking the time to get to know us and have a fun shopping through our web! We hope to see all of you soon!